Headache is one of the most common symptoms encountered by healthcare practitioners. Headache disorders are divided into three distinct categories: primary headaches, secondary headaches, and headaches secondary to painful cranial neuropathies. Primary headaches include the ones that are not attributed to another disorder. They include tension-type headaches, migraines, and cluster headaches. Secondary headaches are headaches secondary to an organic or psychiatric illness or induced by a substance (or drug) and/or its withdrawal. 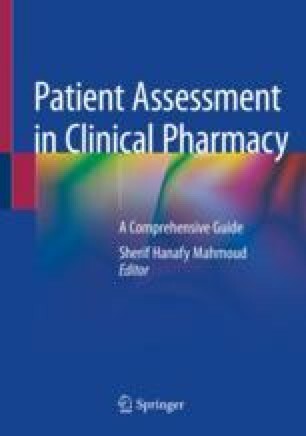 Assessment of patients presenting with headache requires knowledge of the types of headaches and the abortive and prophylactic agents used for controlling and preventing headache attacks, respectively. Assessment of the history and characteristics of headaches, the presence of any associated symptoms, and the appropriateness of drugs used in headache management is essential. It is very important to determine if the patient’s headache could be caused by an underlying medical condition which could be, in some occasions, life-threatening (red flags). Furthermore, follow-up assessment is recommended for patients with headache. Pharmacists should advise patients especially the ones with frequent headaches to maintain a headache diary detailing their episodes, possible precipitating and ameliorating factors. In addition, assessment of medication overuse headache is recommended.